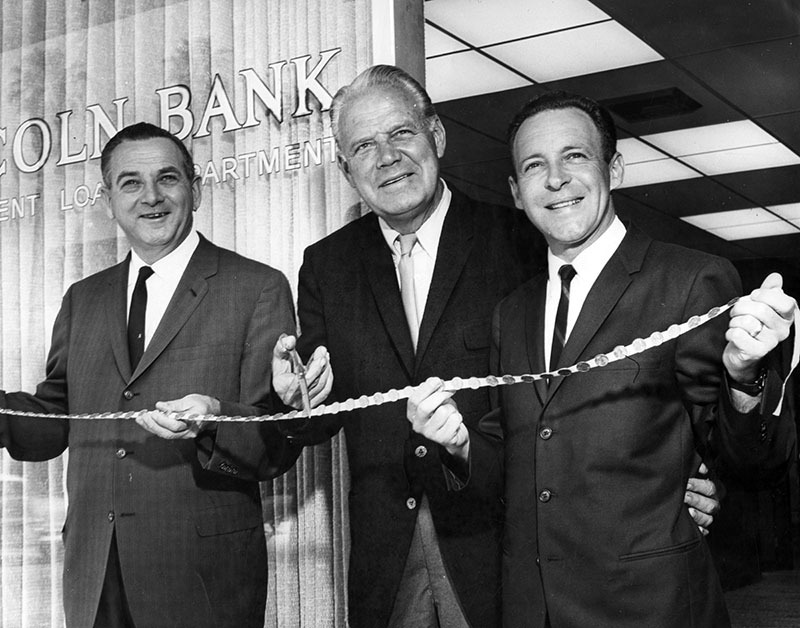 In the 1960s, Van Nuys was booming, respectable and the site of progressive, modern banking. 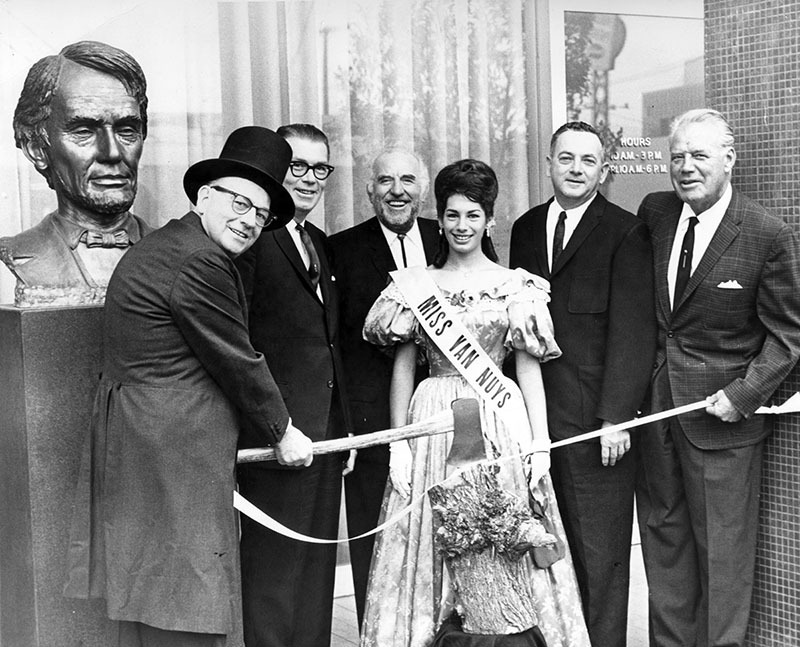 In this October 7, 1963 photo, from the Valley Times Collection at the LAPL, actors and local business and financial leaders gather to snip a ribbon at the new headquarters of the Financial Center Building. The building still stands, just west of Van Nuys Boulevard. Not only was there a Lincoln Bank in the new Financial Center Building, but also a Jefferson Savings. 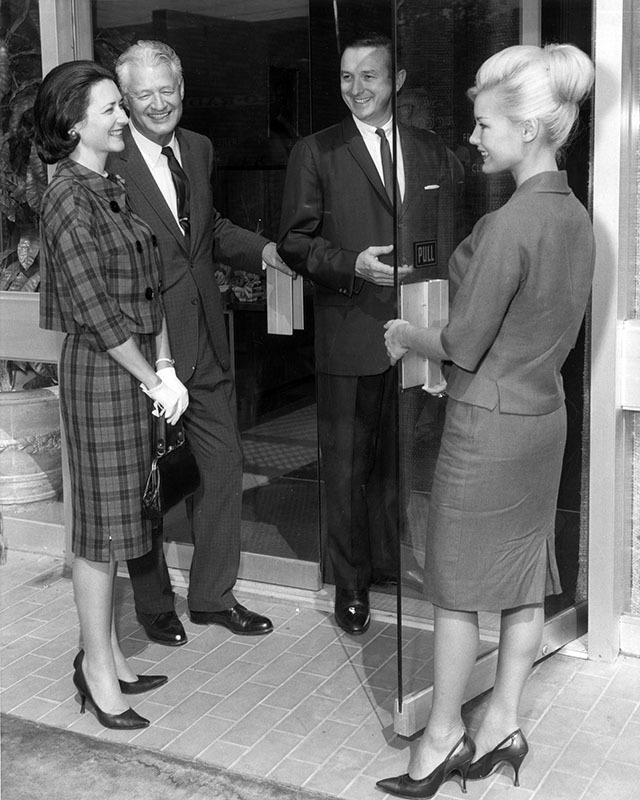 In the photo below, men in suits and women in high heels smile at a bright future of home loans. 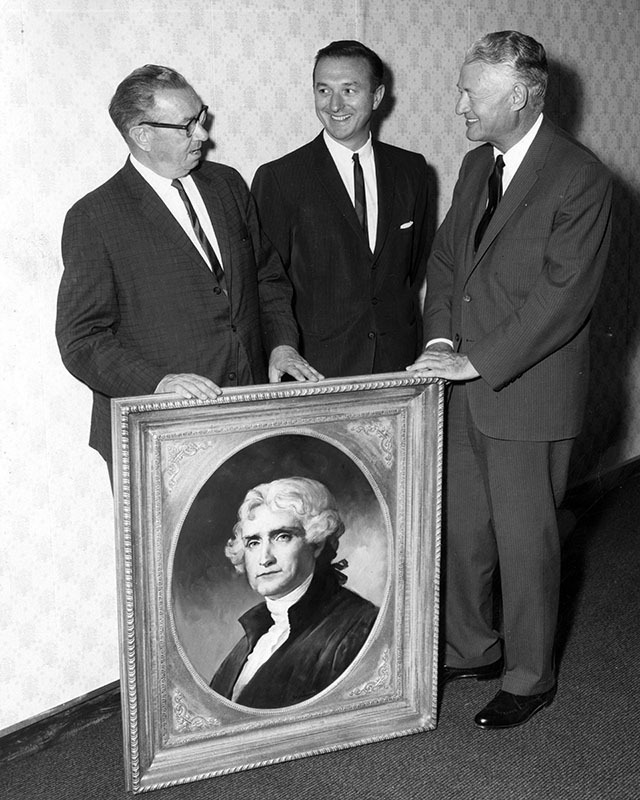 Four days before President Kennedy was assassinated, an oil portrait of Thomas Jefferson was presented to Jefferson Savings. 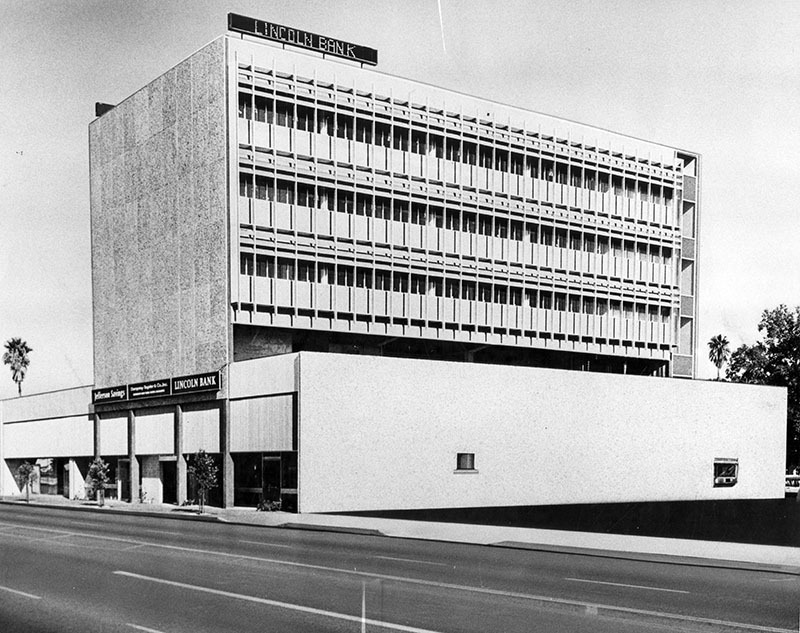 My parents were just about to get married when this building opened, and they were going to live in Van Nuys where my dad had already been living for a couple of years, working at the GM plant. I wasn’t born yet, but I think the Van Nuys of that era was such a great place. I bemoan what has happened to it since then. My parents have always said that it truly was a great place to live back in the ’60’s & even into the ’70’s, which is when I remember it more. It was still fairly decent in the early to mid ’70’s. Yes. All true. And 1910 was as far from 196e as 2016 is from 1963. “Bank on it”–Bernie Sanders’ first act ought to be to stop S+Ltypes from stealing Lincoln’s and Jefferson’s names and honor for their banks. What would Lincoln say to Charles Keating, who trashed “Honest Abe’s” good name? There’s more–that area was important in the 1960’s. The bank building you see, the Fox Theater (long gone–mid block w side of VN n of Victory), a Woolworth’s (where the pupuseria is), and “The House of Sight and Sound”, a tv store as ritzy as its name. Everyone of age remembers the slogan—for the House of Sight and Sound–“Victory and Van Nuys–in the heart of Van Nuys”. Such a potent rhythm that a disc jockey at “KGIL in the Valley” became “Larry Van Nuys”. 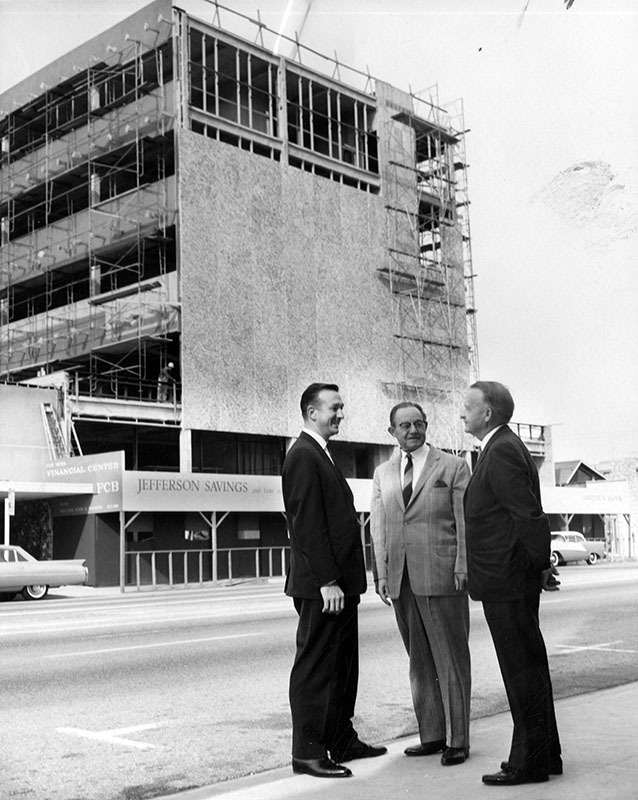 And even a City parking lot to “save” the theater and the heart of Van Nuys. Couldn’t save it–though. Larry Van Nuys is still out there –trying. My brother and I–silly punsters–wanted Larry Van Nuys to change his name and be Larry Valencia or Larry Northridge. Think it’s just abandoned now…..That was my first bank! I remember my grandma taking me there as a boy and I would deposit my rolled pennies into my savings account and got like 15% interest then! LOL! Van Nuys was like Mayberry then!! SUCH great times!!! ‘Member all the candy you could get for $1.00? A whole bag of goodies! !